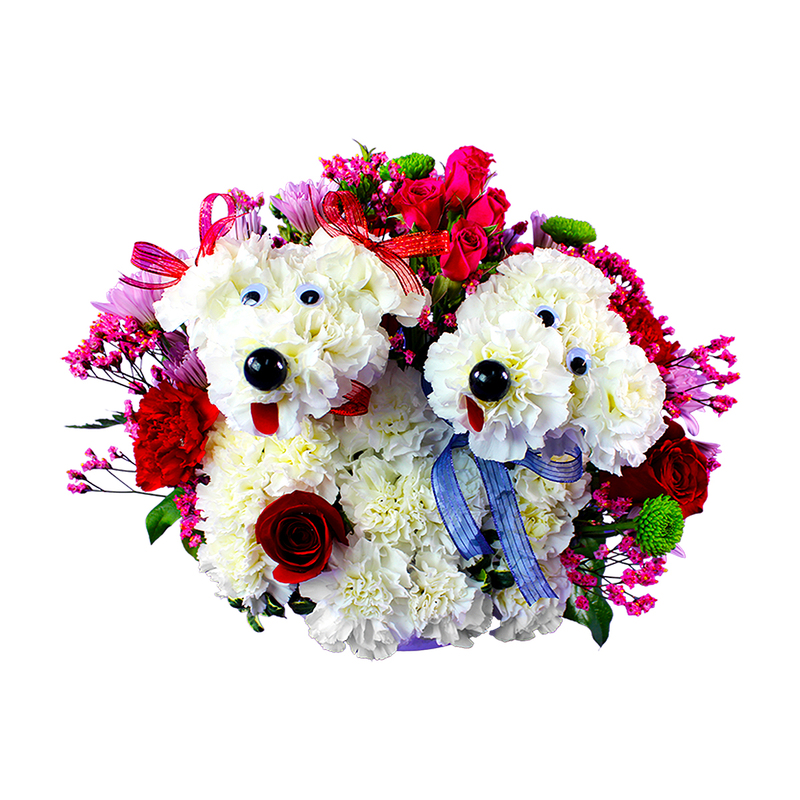 Adorable male and female puppies made from white carnations. The female is holding a rose! Also arranged with an assortment of Valentine''s colored flowers that is sure to make your sweetheart smile!